« Ireland And The Roman Empire. Modern Politics Shaping The Ancient Past? This entry was posted on July 18, 2018 at 3:55 pm and is filed under The Universe and Stuff with tags Cosmology, expansion of the Universe, Hubble constant, Planck, redshift. You can follow any responses to this entry through the RSS 2.0 feed. You can leave a response, or trackback from your own site. As someone who grew up in the era when the argument was whether it was 50 or 100, and there were even people floating the idea that it was 25, I think the agreement in that plot is excellent. There has been a suggestion that the tension might be due to using a perfect FLRW model to calculate things. The CMB has a typical angular scale several orders of magnitude larger than that of the supernova data. 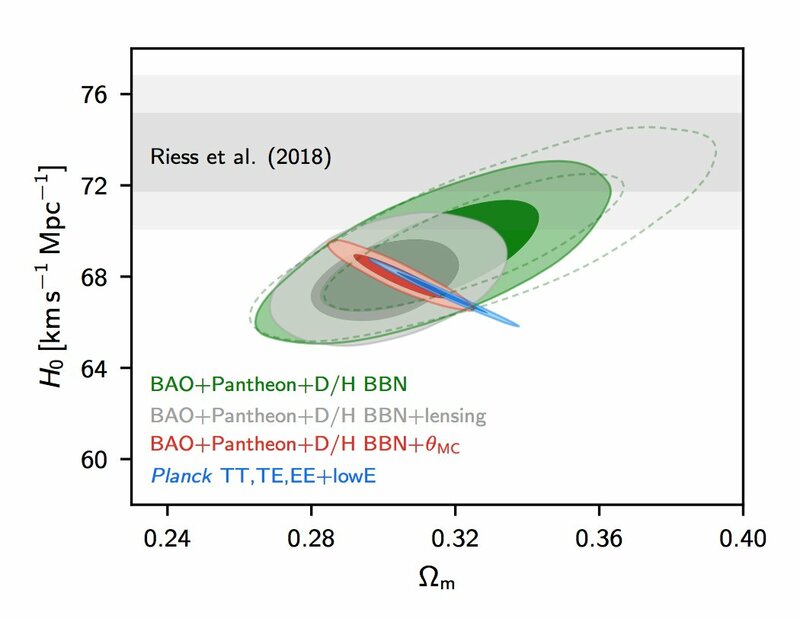 Thus, the CMB might see the average universe, while the supernova data (perhaps due to selection effects) preferentially sample underdense regions. 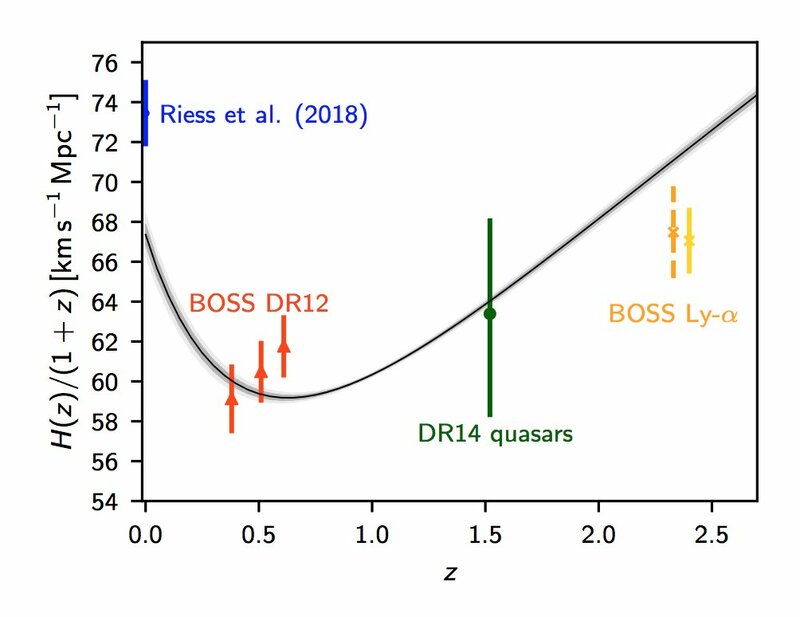 If such a locally inhomogeneous model (the authors of the paper linked to above used a Swiss-cheese model) is correct but a perfect FLRW model is assumed, then this will lead one to underestimate Omega and overestimate the Hubble constant.